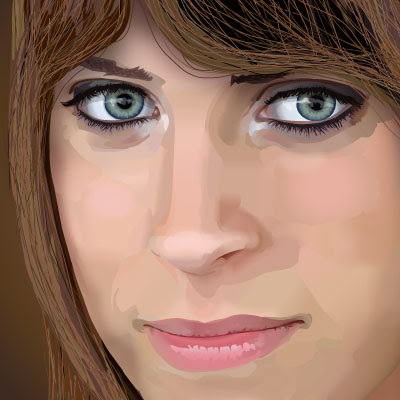 This is a detail of an illustration of a girl done in Illustrator. I used various blurs, gradients and transparency effects to achieve a painted appearance. 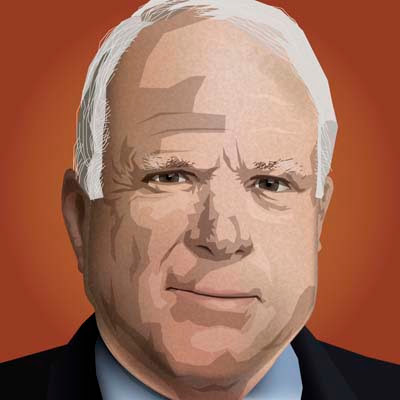 This portrait of John McCain was done in Illustrator. I used the artistic effects filters in Illustrator to add texture.